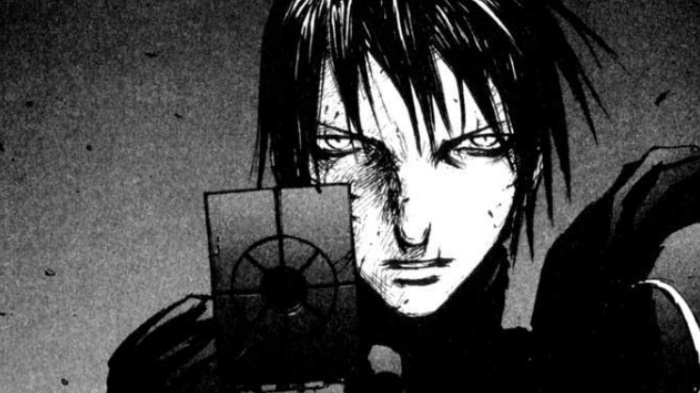 Listen to Aphex Twin While Reading Sci-Fi Manga "BLAME!" In our manga-themed series Off the Shelf, we look at the manga classics that have stood the test of time, as well as the titles we feel will stand that test eventually. 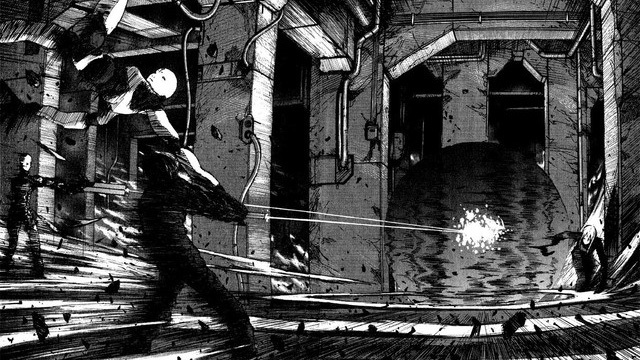 This time, we’re taking a look into the surreal, ultra-futurist world of Tsutomu Nihei‘s BLAME!. If you’ve never heard Aphex Twin’s Selected Ambient Works, Vol. II, then I’ll attempt to describe it. The 24 tracks are ambient excursions, which tend to feature a dark and industrial quality. They are mood pieces, and if you can allow yourself to be transported by them, you’ll alternately feel enlightened, moved, and most likely a little bit creeped out. I bring up Selected Ambient Works, Vol. 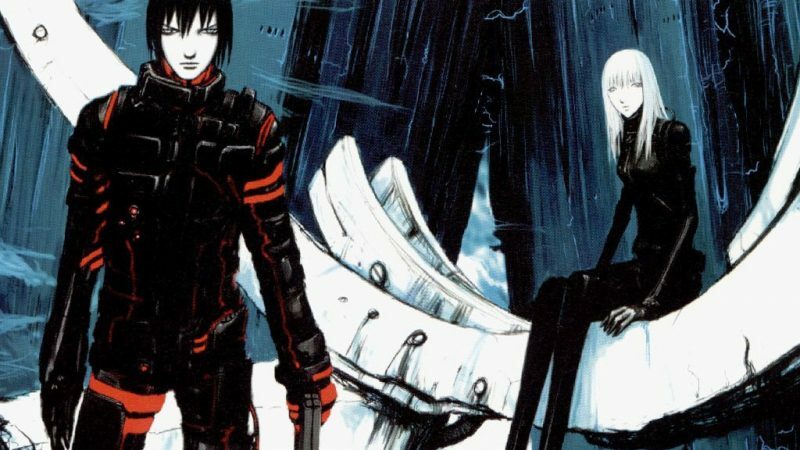 II because it is the perfect soundtrack to Tsutomu Nihei’s BLAME!, a minimalist, experimental piece of hard science fiction storytelling that will at turns leave you feeling enlightened, moved, and a little bit creeped out. The title is actually supposed to be pronounced Blam!, as in a sound of a gunshot (the main character carries a seriously powerful piece), but through some neglectful use of Engrish or lack of fact-checking, the title was rendered Blame! in English. Personally, I think “Blame” is a better title than “Blam,” but what do I know? The story takes place inside a man-made compound called the Megastructure and follows a mysterious protagonist named Killy (or Kiri, depending on how you want to render the Japanese). He travels through the Megastructure searching for humans who have a special gene that can interact with cyberspace. Killy and the Gravitational Beam Emitter. He also carries a pistol-sized weapon called the Gravitational Beam Emitter. Though it may look conventional, it packs enough firepower to blow huge explosion-sized holes through the walls of the Megastructure. It’s so powerful that he has to hold it in two hands when firing, because the recoil from one-handing it will break his arm. After several chapters spent wandering on his own, Killy meets his sidekick of sorts, a robot woman named Cibo. The two travel together for a time, but end up going their separate ways later. However, their two stories continue to intertwine throughout. The Megastructure is controlled by AI who have gone out of control and now attempt to exterminate the remaining humans who dwell within. The AI also continue to build the Megastructure unhindered and with no clear goal. There are hints within the story that the Megastructure started on Earth, has engulfed the moon, and has now reached out beyond Jupiter. Get used to these lonely designs. With the net terminal gene, cyberspace can be accessed and the AI can be shut down once and for all. Of course, the rogue AI employs its own minions in an attempt to stop Killy. Known as Silicon Life, these agents are strange, mutated freaks who are hell bent on death and destruction. If all of this sounds like a rip, roaring good time with a lot of action piece set ups, then you’d be right. If it sounds like a conventional narrative that follows the plot points as you would expect, then you’d be very wrong. BLAME! is less about the story I just described and more about the atmosphere and art. 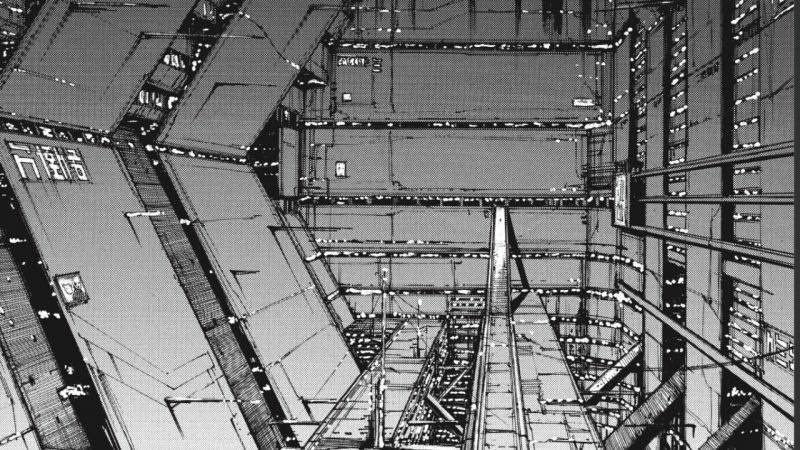 There are long stretches of panels and pages completely devoted to showing the architecture of the Megastructure with Killy wandering through as a small ant. The almost incomprehensible size of it all is awe-inspiring. 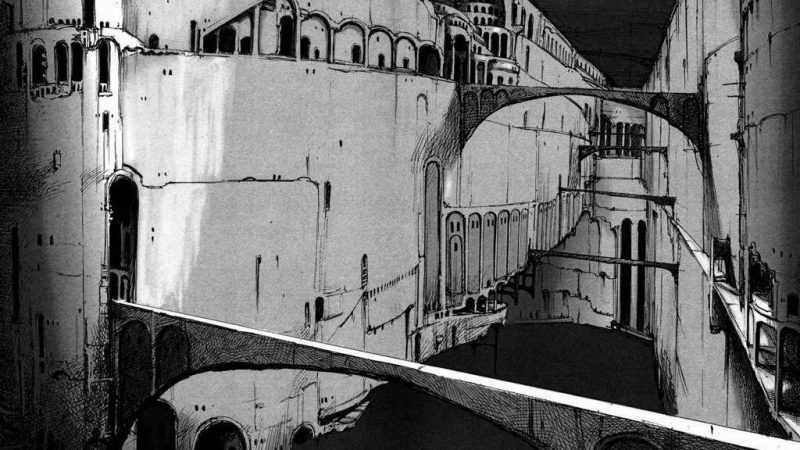 Nihei worked in construction before he made the leap to manga artist, and his sense of scale and structure are shown off in almost all of his works, but especially in this one. To give you a sense of the immensity that we’re dealing with, at one point later in the story Killy must ride an elevator that takes several thousand years to reach its destination. 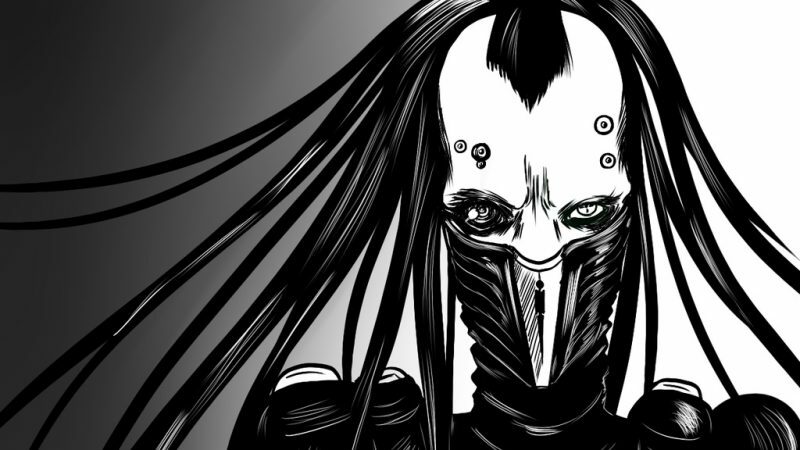 Nihei’s monster designs are strangely tall and complex as well, combining the intricacy of H.R. Giger, with the litheness of Peter Chung–these are strange and horrifying creations. 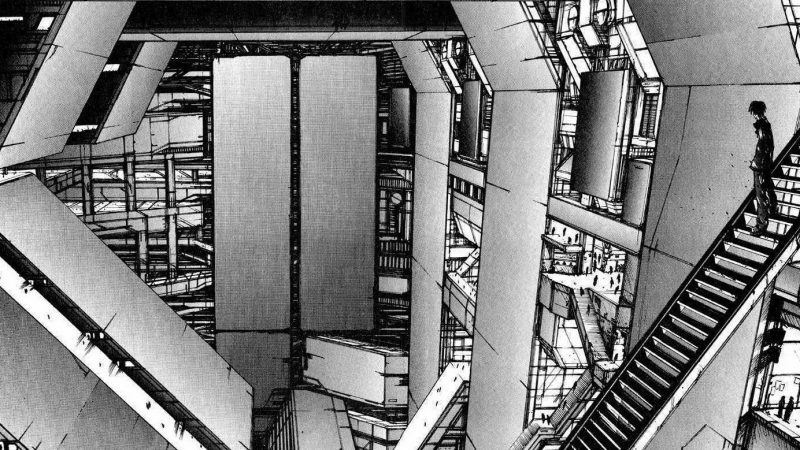 Since this is Nihei’s first series, you can see the evolution of his art from the beginning to the end as his lines become more confident and his designs even more detailed than they already are at the beginning. Villians in this series are freaky. About the only negative I can find in the art is that the panel layouts through the entire series are very blocky. 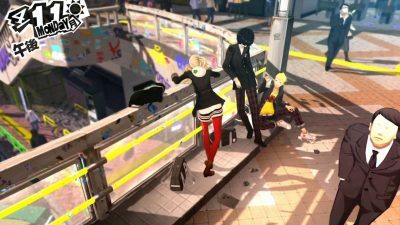 As a result, action scenes sometimes feels like they’re missing a few key frames, which can make things hard to follow at some points. Though Killy comes across other characters, and there are what could be termed story arcs running through the series, most of it is a lonely experience. Especially in the first half. This is why Selected Ambient Works, Vol. II is such a good soundtrack while reading. It sets the perfect mood. For those looking for a conventional story with a clear beginning, middle, and end, this is not the manga for you. BLAME! is definitely more of an avant-garde affair. Though, things pick up in the second half, much of the story remains rather obtuse, and the ending is ambiguous to say the least. The story doesn’t make a whole lot of sense, but the art and mood make up for it. Still, the art is fantastic and the mood it creates is second to none. For that alone, I recommend checking out this series. And now is the best time, since the original 10-volume series was recently re-released into 6 large omnibus collections. These are much larger books and the transfer of the artwork is fantastic, allowing for greater appreciation of Nihei’s designs. They are also available digitally as well, if you don’t want to carry around those big books. The series has been adapted into a short series that originally appeared online over a decade ago. That adaptation may be even more obtuse than the original manga in terms of storytelling, though it nails the bizarre atmosphere. You can also watch the Netflix film adaptation that was released in 2017. It reinterprets one of the story arcs from the manga, focusing less on Killy and more on the side characters that he interacts with. It’s ok, if all you’re looking for is more BLAME! in animation form, but it pales in comparison to the original story. BLAME! is a one-of-a-kind experience, even in Nihei’s catalogue. 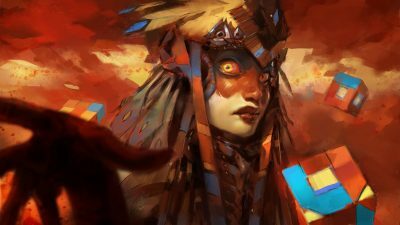 His works after this veer closer to conventional storytelling, and his artwork has taken on a more elegant, less harsh style. We’ll be taking a look at each of those in the coming weeks, but BLAME! remains his best and most unique offering. Turn on some Aphex Twin, and dive in.